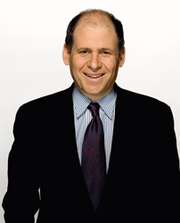 Jonathan Alter has 2 media appearances. Jonathan Alter discusses The Promise: President Obama, Year One. Jonathan Alter , The Defining Moment: FDR's Hundred Days and the Triumph of Hope. Book Cellar Book Club discusses The Defining Moment: FDR's Hundred Days and the Triumph of Hope. Jonathan Alter is currently considered a "single author." If one or more works are by a distinct, homonymous authors, go ahead and split the author. Jonathan Alter is composed of 3 names. You can examine and separate out names.